Today we would like to announce the launch of a new type of privacy evaluation called basic evaluations. These new evaluations are different from our current full evaluations because they are only a 35-point inspection of the most important privacy and security questions about a product. This new type of evaluation will be faster to complete and will allow our team to evaluate even more edtech products but still provide the high level of quality and consistency of our full evaluations. To give teachers the basic information they need to make informed choices about the learning tools they use with students. To empower schools and districts to consistently assess a larger number of technology products used in K–12 classrooms. To collaborate with software developers to make sure their policies are transparent and comprehensive and created with kids' best interests in mind. Indicates the application or service meets our minimum requirements for privacy safeguards, but more research should be completed prior to use. Indicates the application or service does not meet our minimum requirements for privacy safeguards, and more research should be completed prior to use. 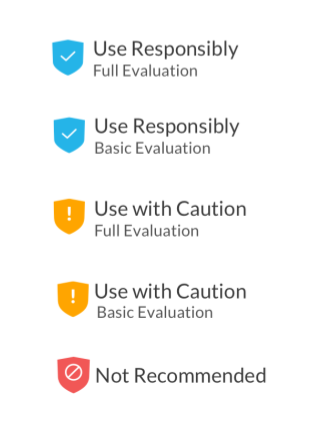 Both basic and full evaluations will have the same tier names and use the same evaluation tier questions, but we will indicate whether the evaluation is a basic or full evaluation below the tier name and icon. Basic evaluations are a 35-point inspection of the most important privacy and security questions about a product. Full evaluations are a much more in-depth 150-point inspection of privacy and security questions about a product. Basic evaluations answer only the most critical privacy and security questions about a product to determine the evaluation tier in which they belong, while allowing parents, teachers, schools, and districts to make informed decisions about whether to use the product. Basic and full privacy evaluations of products will be available at privacy.commonsense.org, and both types of evaluations will have a standard privacy report (SPR), a useful summary of evaluation findings. Also, depending on the type of evaluation completed, either a basic or full evaluation tier will be displayed on a product's review page (in the example shown below) when a user is viewing a specific product. 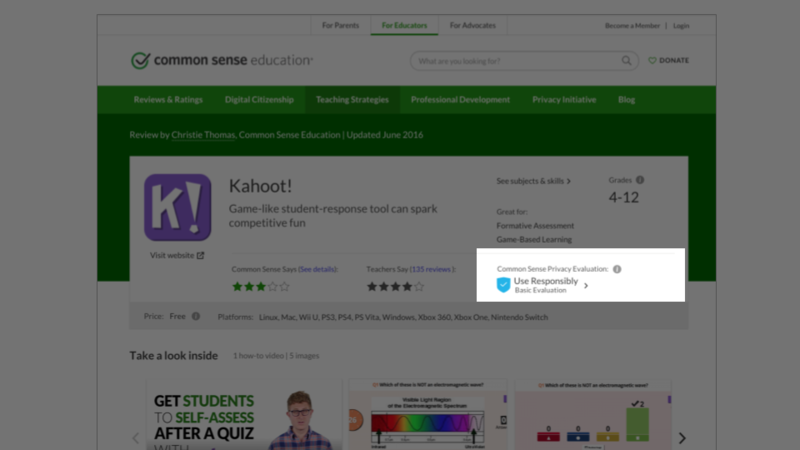 The launch of this new type of basic evaluation would not have been possible without the support of and feedback from the Privacy Evaluation Initiative Consortium, which includes over 150 schools and districts that help inform our work and use our privacy evaluations as part of their vetting process for educational applications and services used in the classroom.